Annual SRA Beach Clean Up – Saturday April 20 at 10:00 a.m.
Southampton’s old-fashioned, quiet charm and its unspoiled sandy beach are only a few of the community’s characteristics close to the heart of its residents, both year round and summer, as well as seasonal visitors. 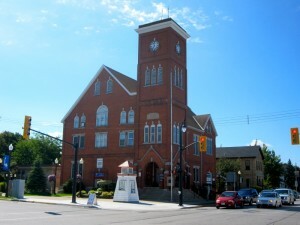 With the amalgamation of Southampton in 1999 with the Town of Port Elgin and Saugeen Township under the banner of Saugeen Shores, many Southampton residents have become concerned that the qualities which set Southampton apart as a uniquely small-town, lakeside community will disappear. Increased residential and commercial development, combined with the lack of sympathetic municipal planning, has raised further concerns about the type of dwellings being constructed in the place of old-style buildings and changing the streetscape of the town. The Southampton Beach and Property Owners’ Association was created in 2002 to address these concerns by combining the former Southampton Beach Association and the former Southampton Property Owners’ Association (SPOA). The combined Association was subsequently renamed the Southampton Residents’ Association to better reflect its objectives and mission. Together now, with a larger and stronger membership, the group’s goal is to work toward finding positive solutions with town council and other community groups to maintain what is special about Southampton but is increasingly at risk. Membership is open to property owners within the borders of the former Town of Southampton, and to anyone who simply loves Southampton and is interested in preserving the charm, heritage and small-town lakeside lifestyle people have enjoyed for over a hundred years.